Behavioral economics is everywhere – whether used by governments to shape our judgement and decision making, advertisers and marketers to sell products, or even politicians to sell policies, its insights are important and far-reaching. What does it tell us about how people form judgements and make decisions in their private and public lives? With recommended further readings throughout, Behavioral Economics: The Basics is essential for all students taking courses in behavioral economics, economic psychology, consumer psychology, microeconomics and game theory, and also for professionals looking for an accessible introduction to the topic. Chapter 1: What is Behavioral Economics and Why is it Important? 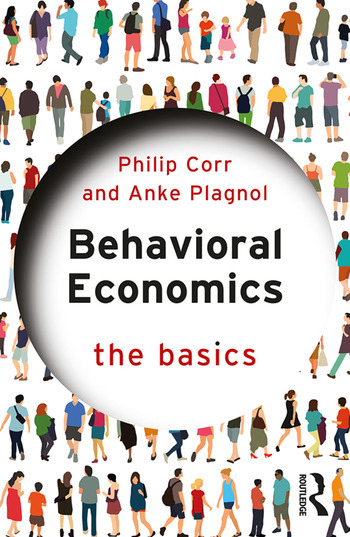 Philip J. Corr is Professor of Psychology at City, University of London, where he specializes in behavioral economics. Reflecting his broader personality neuroscience focus, he is most interested in how individual differences in fundamental systems of motivation and emotion relate to economic behavior. Anke C. Plagnol is Lecturer in Psychology (Behavioral Economics) at City, University of London. Her research focuses on the economic choices individuals make and how these affect their subjective well-being.